The torchlight flickered from the cavern walls and the bubbling pools of hot tar. Choking on the toxic fumes, the young wizard was easy prey for the Chaos Warrior and his warband of orcs that called this foul cave home. Contents: A 30 x 30 map depicting a tar-pit filled cavern leading to a chaos hideout. The cave is largely uninhabited, although some chambers are used as stores or guardrooms. A secret stone door protects the stone-built stronghold within the caverns, forming a bastion for chaos. This map can be used to play Prince Magnus' Gold, the fourth quest of Heroquest. The arrangment of rooms, corridors and doors is fully compatible with the quest map included with the original game. 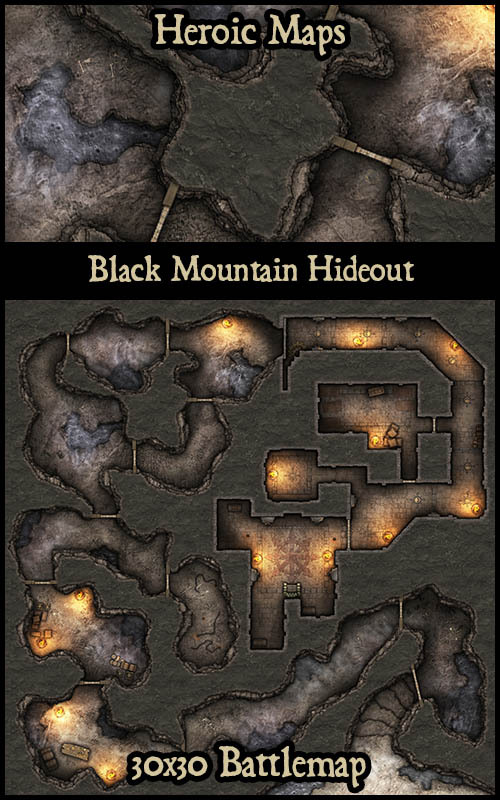 Relive the excitement of HeroQuest with these battlemaps, compatible with the original adventures!